It's Friday afternoon and the kids are officially on Christmas break. Let the chaos commence!! 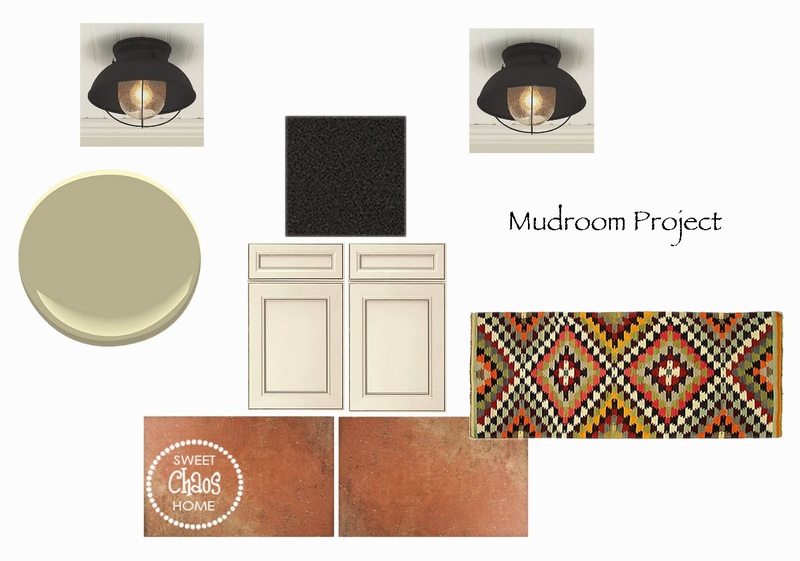 A few weeks ago I showed you the design I was working on for my neighbor's new mudroom. 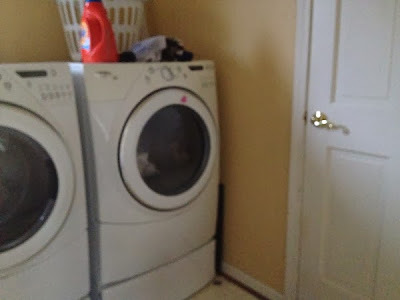 Borrowing space from the garage enabled them to have a much larger room with plenty of space for laundry and storage. 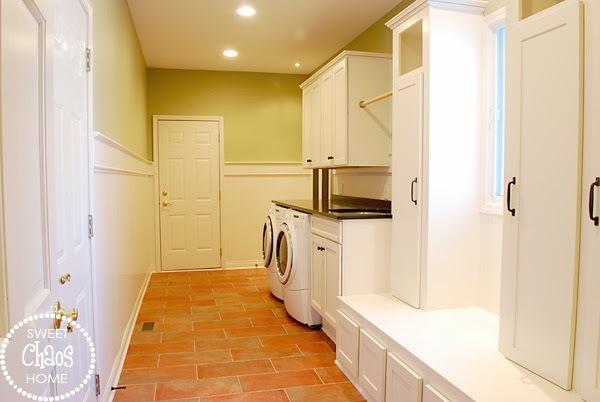 The floor tile is Restauri Porpora, and the wall paint is Benjamin Moore "Mosaic Tile." 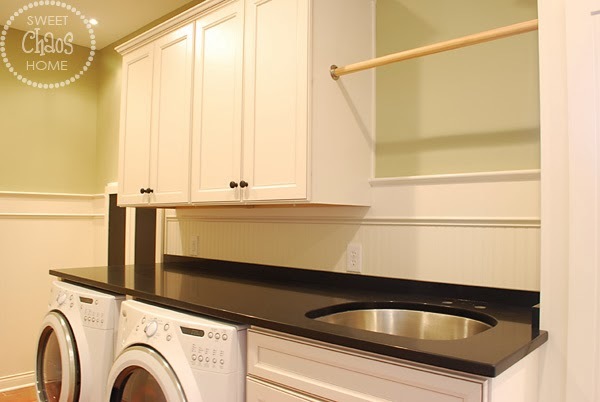 The countertop is quartz black noir. 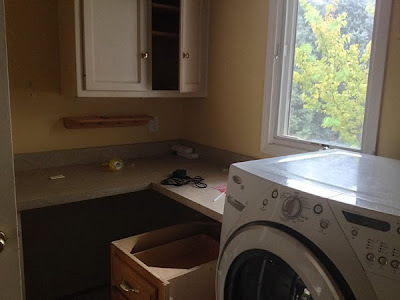 We're still waiting for the faucet to be installed. 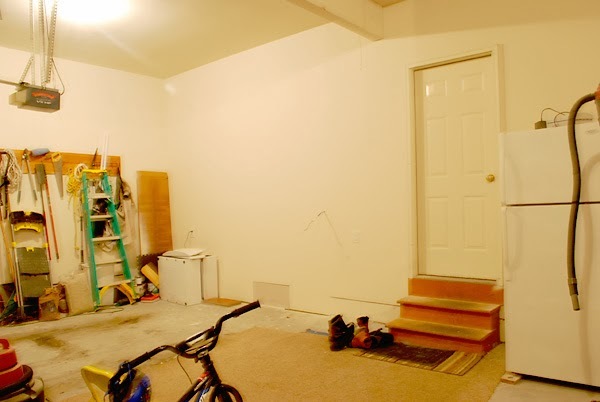 It really didn't affect the garage area at all, and now they have a much more useful room to store all the kids' gear. I've got to go hang with my boys now, but I hope you all have a fantastic weekend! 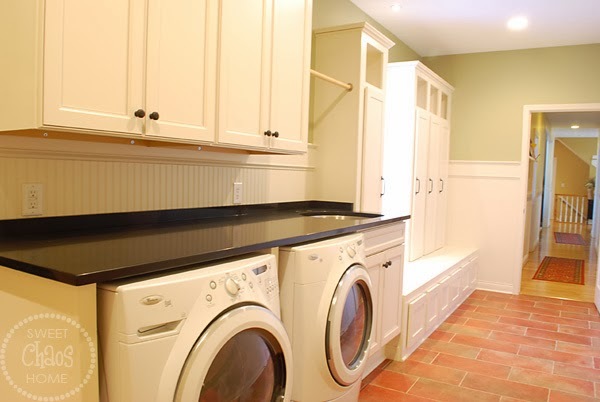 This is exactly what I have thought about doing for my laundry room, which is really a laundry closet! Oh, well, I think it's too late since we're putting the house on the market after the holidays. Know anyone who wants to move to Atlanta???? WOW Carolyn that turned out FABULOUS!! Have fun with the boys! 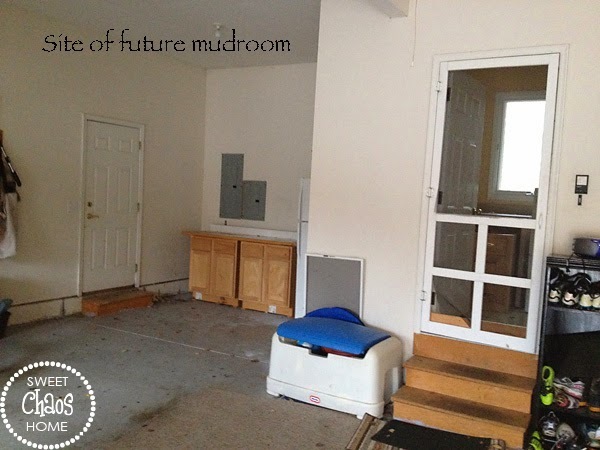 Wow, what a great new room and a brilliant idea to expand from the garage. We could sure use a space like that. Wishing you a very Merry Christmas! Looks great….I would kill for a space like this! Wow! Nicely done:) This is exactly what I need to do. The black counter top gorgeous! 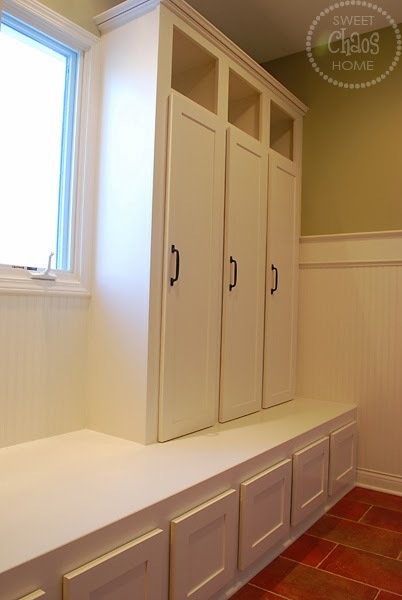 That is seriously such a dream mudroom, Carolyn! It would be the favorite room in my house if it were mine! Hope you had a great Christmas - happy new year to you and your family! It's fabulous…I'm a little jealous, too! 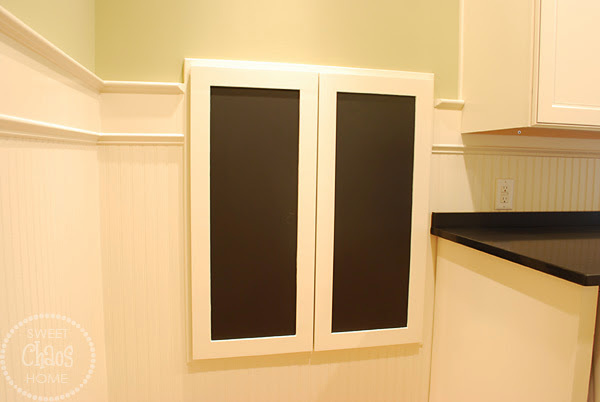 Great idea with the chalk board paint! This posting is very nice. Thanks for nice information. why should not you crop adversity about the aloft of comments,you are in achievement advertisement the animate comments here..
Great space! Just discovered you and was happy to find my blog on your sidebar! Thanks!! !